Rabbi Yitzchak Berkowitz is recognized world-wide as a prominent posek and ba'al eitzah- his advice on community matters is sought by countless community Rabbis across the globe. 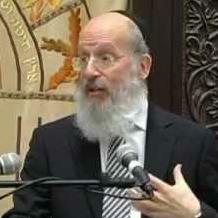 A sought after lecturer, Rav Berkowitzs classes which span over three decades, have been widely learned and discussed, and have been transformed into one of the largest bodies of audio series available today, covering a wide range of subjects ranging from halacha, philosophy, chumash, and nach to family issues, personal development and community leadership. He is best known in the US for his Shmiras Halashon and amud yomi Mishna Brurah telephone and download shiurim, and his halachic presentation in the best selling Chofetz Chaim and 6 Constant Mitzvot sefarim. As menahel ruchani of Yeshivat Aish HaTorah for over sixteen years, Rav Berkowitz nurtured hundreds of young men and women on their path to Torah observance and continued to guide them through the various stages of growth as dedicated Jews and responsible parents. Rav Berkovits also developed and taught the Aish Hatorah smicha program, guiding over one hundred students through successful completion of the pertinent areas of halacha and practical rabbinics, most of who still serve the Jewish people throughout the world- he is still sought out by these young leaders for his advice in matters of major importance. Currently, while his main focus is upon the Jerusalem Kollel and its Alumni throughout the world, Rav Berkowitz is also involved in many other major initiatives. To name a few of his endeavours outside the Kollel: he lectures daily at countless institutions and communities in Israel and throughout the world; heads the Kollel Linas HaTzedek network (for studying the laws of bein adam l'chaveiro); helps train and advise countless young Yeshiva students towards future leadership roles; and is the Rav of the large English speaking community in the Sanhedria Murchevet community of Jerusalem.